Formal program begins promptly at 9:00 a.m. Registration is $75 per person, which includes lunch with faculty. Lu Q. Le, M.D., Ph.D.
Carolyn P. Horchow was a native of Little Rock, Ark., and a longtime Dallas resident who gave generously to charities throughout her life. 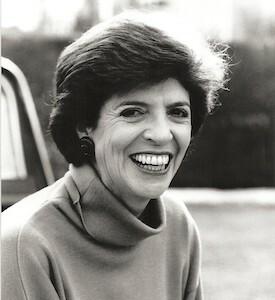 A graduate of Connecticut College, she went on to become a co-founder of The Horchow Collection. 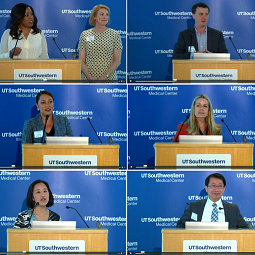 She founded this annual symposium in 1999 at UT Southwestern with her friend Patricia M. Patterson. Carolyn served on the Board of Visitors of UT Southwestern University Hospitals & Clinics and on the Honorary Board of the Modern Art Museum of Fort Worth. She was a volunteer for Meals on Wheels and a member of several charitable organizations, including the Charter 100 of Dallas, Crystal Charity Ball, Dallas Women’s Foundation, Planned Parenthood of North Texas, Sweetheart Ball, and Visiting Nurse Association of Texas. Carolyn will always be remembered for her dignity, thoughtfulness, impeccable taste, and exceptional sense of style. View presentation videos from the 2018 Women's Health Symposium. Share these presentations with others! 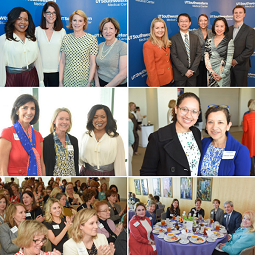 See and share images from "Now Trending: Keeping Up With Health Care Headlines"
"One of my favorite events each year." "Loved lunch with the faculty. What great table hosts; it's such a privilege to have that access!" "I was extremely impressed with all of the presenters. They each made their topics very understandable and interesting for the layperson." "You've set a very high bar this year!"